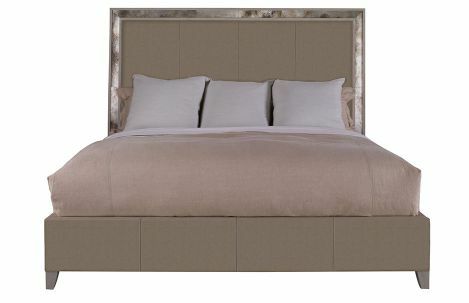 Custom upholstered King Platform Bed. Mirrored headboard frame. Upholstered insert and wrap around rails.